The "High Lords", cruel tyrants from othe realities, have joined together to conquer Earth and steal its living energy: it's Possibilities! Where they invade the world changes, forming realms governed by the rules of alien realities. But Earth is not defenseless against this onslaught. Some heroes absorb the raw Possibility Energy the High Lords covet and become "Storm Knights" - beings who can bend reality to their will. They use magic, technology, miracles, and even super powers against the High Lords and their endless minions. The Delphi Council needs you, Storm Knight, to protect our reality and fight back against the High Lords! Everything you need to create powerful heroes from any of the cosms, including Core Earth! Details for all seven invading cosms, each with its own unique flavor and foes. 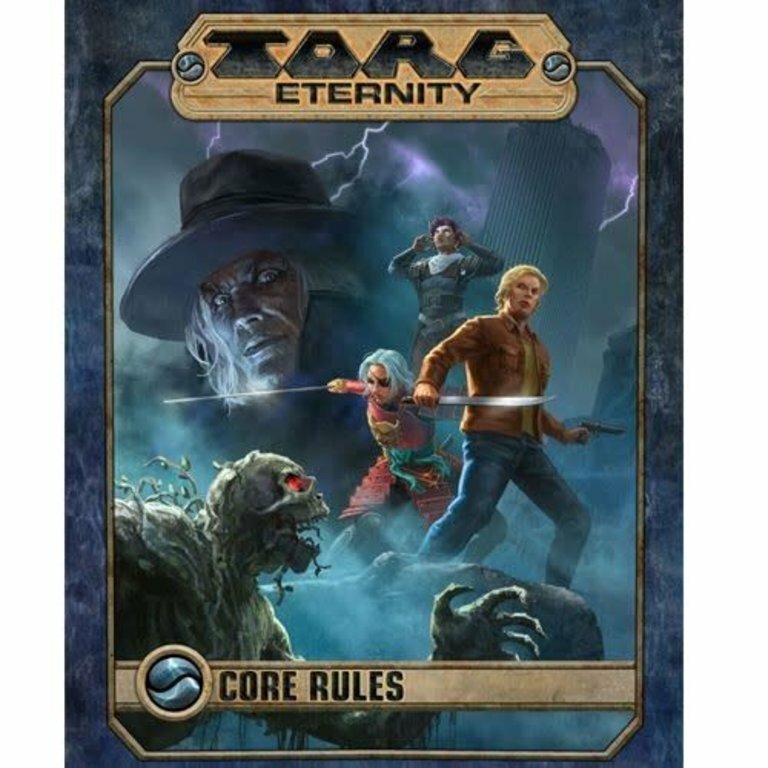 Twenty unique Possibility tokens add flavor and style to your game of Torg Eternity.